The ANC Foundation directly helps students through a large pool of privately funded scholarships. Currently the ANC Foundation has over $500,000 in endowed scholarship funds as well as many annually funded scholarships. Because many students' problems have financial implications, the Foundation works closely with the Financial Aid Office and the Admissions Office to help students remedy these problems. Hundreds of students are helped each year through ANC Foundation scholarships. The ANC Foundation (a private, 501 C-3 tax exempt, nonprofit corporation) provides scholarships to students attending ANC through private contributions. The College’s Foundation, created in 1977, is one of the most successful two-year college foundations in the state. The foundation’s assets include endowments for scholarships, farmland, facilities, and is directed by a Board of Governors. Scholarships are constantly being sought and one-time opportunities occur on a regular basis. 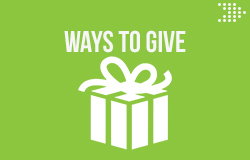 Gifts may be made at any time by contacting the Development Office. Memorials and gifts are acknowledged to both the donor and the person or family being honored. Because many students have financial issues, the Foundation works closely with both the Financial Aid Office and the Admissions Office to help students remedy these problems. Awards of various amounts are made by the College Scholarship Committee to students who have demonstrated financial need. The Bonnie Wheeler Davis Memorial Scholarship was established by the family of Ms. Davis after her death in October 2003. It is an endowed scholarship available to students who exemplify need and a desire to earn a college education. Ms. Davis was a supporter of education, and funds from this scholarship can be used toward tuition, fees or books. Recipients can be either full-time or part-time and must maintain a minimum 2.5 G.P.A. This scholarship was established by family and friends of Brandon J. Elliott who passed away in 2009 while still a student at Arkansas Northeastern College. Brandon, son of Pastor Jerome & Cassandra Elliott, was active in the community and the College where he is remembered as a caring, giving, and respectful young man. This scholarship is annually funded through fund-drives and gifts to the ANC Foundation. The goal is to offer two $500 scholarships each semester when funds are available. Priority will be given to students who are single parents and students with disabilities. Preference will also be given to students interested in sociology, psychology, nursing and auto mechanics. This scholarship was established by friends of Cecil H. Holifield in honor of his many years of service and dedication to Arkansas Northeastern College. This scholarship is available to any full-time or part-time student. Mr. and Mrs. Jerry Cohen, formerly of Blytheville, endowed a scholarship in memory of his parents, S. J. (Jimmie) and Luba T. Cohen, in 1991. Interest from this fund is used to provide scholarships to Mississippi County residents. This scholarship is open to both full-time and part-time students. This scholarship is awarded from interest received from an endowed fund. The Col. J.M. Crane Memorial Scholarship was established by the family of Col. Crane in recognition of his commitment to higher education and his longtime support of Arkansas Northeastern College. Col. Crane was dedicated to his military career and served for 31 years in the Air Force. He held both a bachelor’s and a master’s degree and was committed to providing educational opportunities in this area through his work as a longtime member of the ANC Foundation Board of Governors. This scholarship pays $1,000 a semester toward tuition, books and fees and is open to ANC students who maintain a 2.5 cumulative G.P.A. Ms. LaVelle Mann established the David Mann Memorial Scholarship in memory of her son. Ms. Mann, a retired teacher, wishes to honor the memory of David, who lost his life in a tragic accident in 1995 at the age of 32, by offering scholarship assistance to single fathers looking to better their lives through education. This scholarship is for men who are enrolled part-time, with 30 or more hours already completed, and who have a minimum, cumulative grade point average of 2.5. Students majoring in education will be given special consideration. Members of the Blytheville Alumnae Chapter of Delta Sigma Theta Soririty, Inc. established a scholarship, in June of 2016, through the ANC Foundation to assist local students with gaining a college education. Delta Sigma Theta Soririty, Incorporated was founded in 1913 in Howard University and is an organization of college educated women committed to constructive development of its members and to public service with a primary focus on the black community. The organization is a sisterhood of predominantly black, college educated women. The sorority currently has 1,000 collegiate and alumnae chapters located in the United States and other countries. Recipients of the annually funded Delta Sigma Theta Sorority, Inc. Scholarship must maintain a minimum 2.5 GPA and be Mississippi County residents with preference going to minority females who are majoring in education. They must be full-time students, and the scholarship award is for $500 a year or dependent on funds available. The scholarship may be used toward tuition, fees, and/or books. This scholarship was established by the family of Ms. Jennings after her death in June, 2003. Because of Ms. Jennings' love of music and her commitment to education, students entering the field of music are given primary consideration for this award. Both full-time and part-time students are eligible for this scholarship which varies in amount. This scholarship is endowed by a gift from Dr. and Mrs. Charles C. Brock, Jr. Interest from the endowment provides financial assistance for tuition and books for one student enrolled in the Practical Nursing Department. The recipient will be selected based upon his/her need for the scholarship and his/her desire and ability to become a licensed practical nurse. Residents of Mississippi County will be given preferential consideration. The Dr. Daryl H. Johnson Scholarship was established in 2010 at the time of Dr. Johnson’s 80th Birthday. Dr. Johnson spent 19 years as an educator with ANC and was one of the original faculty members hired by the College at its creation in 1975. He worked to develop the College’s Science department where he taught Biology, Botany, Zoology. He also taught Power Lifting and holds many American and World Records. The scholarship amounts vary depending on funds available. The Mississippi County Medical Society hereby establishes a scholarship fun to be used for the support of nursing students at Arkansas Northeastern College. This is an unrestricted fund with annual award(s) to be made by the ANC Scholarship Selection Committee--not to exceed $1,000 a year with the goal of awarding two $250 scholarships each fall and spring. These scholarships can be used for the support of tuition, books or other nursing program student expenses. The King Nunn Memorial Scholarship is a tribute to a man who was ahead of his time, and recipients of this award should set goals to reach, stretch, and lead as he did throughout his life. Dr. Nunn was a charter member of the College’s Board of Trustees. Gifts to the King Nunn Scholarship Fund have enabled the institution to establish an annual award of approximately $500 for each recipient. The Eileen Hagan O’Neal Scholarship has been created through a generous donation by Ms. O’Neal. The scholarship was established in honor and memory of Ms. O’Neal’s parents and grandparents. The Hagan’s were early settlers in the Huffman community, having made their home in that area in the early 1900’s. They held a strong belief in the importance of education, and Ms. O’Neal was the first graduate of Armorel High School where she was valedictorian. She has established this scholarship to assist local students in earning a college education. This is an endowed scholarship and anyone wishing to learn more about it or to contribute to this fund can do so by contacting Rachel Gifford at Arkansas Northeastern College at 870-838-2902. Available to graduates of Armorel High School. It is with great honor that Arkansas Northeastern College recognizes the late George Moore and Nancy McCauley Trimue for the lasting contribution that they have left to our College and its students. The Trimues purchased a 1,500 acre farm near Frenchman’s Bayou in the early sixties, not long before Mr. Trimue’s death on October 26, 1964. His wife, Nancy, stayed on their plantation in Frenchman’s Bayou for several years managing the farm before returning to her childhood hometown of Blytheville and closer to her dear friend Helen Armstrong Miller. Ms. Trimue succumbed to the complications of a stroke and passed away on March 1, 2001, at the age of 82. It was her desire to help people long after her death; therefore, she bequeathed her farm to Arkansas Northeastern College with the request that the College establish a scholarship in her family’s name that could benefit many students throughout the future of Arkansas Northeastern College. The Great River Promise Scholarship, which covers tuition and mandatory fees to Arkansas Northeastern College, is awarded to Mississippi County and Buffalo Island Central graduating seniors who earn their high school diploma, attend four years at a Mississippi County high school, achieve a 95% attendance throughout high school, and have no drug or alcohol offenses. Students receiving ample aid from other sources will not be eligible for Promise funds. The scholarship pays current in-county tuition and mandatory fees for a total of 64 semester hours or completion of the required credits in any program having a total hour requirement greater than 64. The scholarship will be continued for a maximum period of three (3) years, providing the recipient makes satisfactory academic progress toward a degree, remains continuously enrolled. If the student transfers to another institution prior to completing degree work at ANC, the scholarship will not be offered during future enrollment periods. The scholarship must be initiated during the immediate summer, fall, or spring term following high school graduation. This scholarship was established by Ms. Mildred Whitener of Cooter and her family through the donation of 40 acres of farmland. The proceeds from this farm will be used to fund at least one scholarship each semester in the amount of $500 to any Cooter High School graduate. The recipients must maintain a 2.5 G.P.A. The Hospital Gift Shoppe Auxiliary Scholarship was established in July of 2008 by the Great River Medical Center Gift Shoppe volunteers. This scholarship is an annual gift made possible through proceeds made in the hospital gift shop. The scholarship amount is $1,500 a semester for both fall and spring and may be awarded in full to one recipient or in part to several recipients. It is the intent of the hospital gift shop volunteers to assist in the education of nurses for this area. The scholarship is available to first and second year Associate Degree Nursing students who reside in Mississippi County. This endowed scholarship fund will be available to ANC students with preferential consideration going to those living within the city limits of Blytheville. The scholarship is named in memory of former Blytheville resident Jim Grimes. This endowment was made possible through the planned gift by Marie Grimes who passed away on December 1, 2009. Ms. Grimes was a longtime resident of Blytheville where she was a retired office clerk of Entergy and a member of the North Tenth Street Baptist Church. Mrs. Grimes lost her husband, Benny, to cancer in 1962 when he was only 39 years old. Because of her husband’s death, someone told her that her son would no longer be able to attend college. This statement, and her commitment to education, motivated her to prove the opposite and she worked to provide for her son’s college. Her son Jim was a graduate of Blytheville High School later earned an engineering degree from the University of Arkansas. At the time of his death, he was an engineer for Raytheon Aircraft in Wichita, Kansas. Sadly, Jim passed away unexpectedly on August 20, 2001, at the age of 54. Because of Ms. Grimes’ efforts and her understanding of the importance of education, it was her wish to help others who might have financial barriers to attending college. She left this gift to the Arkansas Northeastern College Foundation as a lasting tribute to her son who was able to find success in both his educational and career endeavors. Dale Briggs established this scholarship in memory of his wife Jeannetta. Mrs. Briggs was born in Kansas and moved to Blytheville when she was six years old where she lived until her death at the age of 70. Mrs. Briggs had a love of music and studied the fine arts in college having majored in organ and minored in piano. This is an endowed scholarship awarded on an annual basis. It is available to any Arkansas Northeastern College student with preference being given to music majors. The Johnny W. Nutt Memorial Scholarship was established in 1999 by the Chickasawba Masonic Lodge #134 in memory of one of their late member, Johnny Nutt. The scholarship provides $250 a semester, while funding continues, to a full-time or part-time student with at least a 2.5 G.P.A. and selected by the College’s Scholarship Committee. This scholarship fund was established in 1976 as a memorial to Robert K. and Blanche Johnston, former Blytheville Water Company owners, by their son, Robert C. Johnston. This fund has helped many individuals. It is an endowed fund which earns interest used to provide funds for students in the Blytheville area and was the first privately funded scholarship at this institution. The Judge Graham Partlow Honorary Scholarship was established in 2002 by friends of Judge Partlow. Approximately $15,000 was raised and endowed for this scholarship through a fund-raiser in Judge Partlow’s honor and other community support. Interest from this fund is used to provide scholarships to full-time and/or part-time students who maintain a 2.5 cumulative grade point average. Scholarship amounts vary depending on funds available. This scholarship was established through an endowment given by Kagome Creative Foods, Inc. in 2007. Students working toward a technical, industrial, or manufacturing education, who maintain a minimum 2.5 G.P.A., are eligible for this scholarship. Special emphasis will be given to students interested in industrial maintenance, technical support or employment in the food industry. This scholarship is for $750 per semester with part-time students receiving a prorated amount. Upon his retirement from Arkansas Northeastern College as Director of Special Projects in 1993, Mr. L.D. Harris announced the establishment of the endowed L.D. and Reedie Harris Scholarship. Both Mr. and Mrs. Harris have had a lifelong interest in education and wanted to continue to be involved by having a part in helping somebody get an education who otherwise would not have the opportunity. This scholarship is available to any student who needs financial assistance. This scholarship is awarded from interest received from an endowed fund. The Lindsey Ohlendorf Fairley Scholarship is an endowed fund which was established in 1991 following Mr. Fairley’s death. Mr. Fairley’s memory is honored through this scholarship opportunity. Eligible students may be full-time or part-time students and must maintain a minimum 2.5 G.P.A. 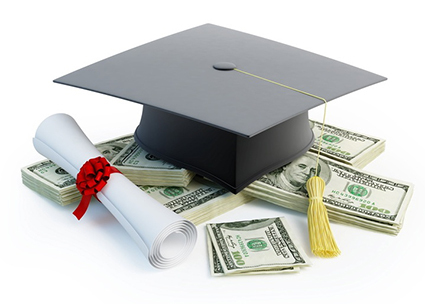 Scholarship amounts vary and can be utilized toward tuition, books, fees, and travel. This scholarship is awarded from interest received from an endowed fund. This scholarship was established in 2008 by the Blytheville ESA Chapter in memory of Loretta Smith. Smith was a member of the ESA Sorority and a nursing student at ANC at the time of her death. This scholarship is designated for two awards of $500 each annually to any students enrolled in the field of Allied Health. The scholarship can cover tuition, fees, and/or books. This scholarship is established in memory of Ms. Martha Ann Moore who passed away in October, 2013. Ms. Moore was a life-long educator who loved working with students. She was an English Instructor at Arkansas Northeastern College for many years. This is a fluctuating fund with scholarship amounts depending upon funds available. This scholarship is open to ANC students who maintain a minimum 2.5 grade point average. Funds are available to both full-time and part-time students and can be used toward books, fees, and/or tuition. This is an annually funded scholarship in the amount of $500. Eligible applicants must be female students who are planning to enter the teaching field and must maintain a minimum 2.5 G.P.A. The Nelson Nursing Scholarship sponsored by the late R. A. and Mary Blanche Nelson assists individuals as they pursue the nursing profession. The development of the College for this area and a quality nursing program inspired the Nelsons to establish this award. Either part- time or full-time students are eligible. The number of scholarships awarded will vary and depend upon the course load of the recipients and the number of students qualifying. Recipients must be accepted for enrollment, or currently enrolled in the R.N. nursing program. This scholarship was previously named for Blan Newcomb the son of Guy and Evelyn Jean Newcomb. He died in a tragic fire in 1979, at the age of 21. Later, after the death of Guy Newcomb in 1985, the scholarship name was changed to the Newcomb Scholarship to commemorate both Blan and Guy. Guy Newcomb served on the College’s Board of Trustees for seven years. In 1982, he accepted an active role as a member of the Board of Governors of the College’s Foundation. This scholarship can be used toward tuition, books, required fees and may include an expense allowance. Children of employees of Mississippi County school districts are eligible. Students from Osceola and Rivercrest will be given preferential consideration. This scholarship, made possible through the Ohlendorf family, is an annually funded scholarship providing assistance to students who are graduates of Osceola High School. Recipients must take a minimum of 12 hours per semester to be eligible for this scholarship. Award sizes vary and can be used for tuition and/or books. The Paul C. Hughes Scholarship is an endowed fund which will provide interest each year to fund a scholarship annually. The initial contribution to this fund was a gift from the Mid-South Grain Growers Association in appreciation of his 40 years of service as Secretary-Treasurer of that organization. Additional donations have been received, and following Mr. Hughes’ death in 1999, an annually funded scholarship established by the children of Paul and Corina Hughes in their parents’ honor was merged with the Paul C. Hughes Scholarship. The late Mr. Hughes was an outstanding community leader and served on the College’s Board of Trustees for many years. This scholarship is established in memory of Mr. and Mrs. Acton Holmes by their daughter and son-in-law, Mr. and Mrs. Allen Bush. This is an endowed fund which will provide funding on an annual basis and can be utilized by either part-time or full-time students. It is primarily intended for part-time students with strong educational drive and financial need. Special consideration is given to single parents. The Savannah Paige Pollock Memorial Scholarship was established by friends and family of “Paige” following her death in 1995 and will be a part of the ANC Foundation’s scholarship opportunities beginning fall 2009. Paige had ambitions of becoming a nurse and had been accepted into a nursing program prior to her death. The Savannah Paige Pollock Memorial Scholarship pays tribute to her life and is to second-year nursing students at Arkansas Northeastern College. Scholarship amount will not exceed $500 for the final semester of an associate degree nursing student, and applicants must follow the general application process. The Sharon Wingo Churchill Scholarship was established through the estate of Joe Churchill. This endowed scholarship was created in memory of Mr. Churchill’s wife who preceded him in death. Mr. Churchill was a longtime friend of the College and had been active in many fund raising events for the Foundation. In his final months of life, he initiated this scholarship which will honor Sharon Wingo Churchill and serve future students. Special consideration is given to students enrolled in the R.N. nursing program. This scholarship is awarded from interest received from an endowed fund. The family of James M. Sims, Anna Lois Sims, and Edward “Jerry” Sims established this scholarship in their memory. James “Marcus” Sims was the youngest of Mrs. Sims’ three children. He was an outstanding scholar throughout his academic career. He briefly attended medical school. He died prematurely in 1994 at the age of 40. Mrs. Sims was born into a family of 10, with her father serving as a rural school teacher, farmer and postman. She was an avid supporter of higher education throughout her life. Edward G. Sims was a successful business man and devoted father. He was a veteran of World War II, serving in the European Theater with the U.S. Army Air Force. These scholarships may vary in amount with special consideration being given to students entering the field of business. Following the closing of the Temple Israel Synagogue in Blytheville, the trustees donated $120,000 to the ANC Foundation to be endowed for scholarships. Interest from the endowment is used to fund $300 scholarships to two graduating high school students from each of the represented Temple Israel communities: Blytheville, Osceola, Hayti, Kennett, and Caruthersville. Students must maintain a 2.5 G.P.A. The THANK YOU RN’s scholarship was established by David and Sallye Russell in May of 2015 to honor the many nurses who cared for them during a long hospital stay by Ms. Russell. With personal and thoughtful care of her many nurses, Ms. Russell overcame a life-threatening illness and she and her husband established this scholarship to help others pursuing the nursing field. This scholarship will be funded annually and is available to two students, up to $500 each, per semester. Scholarship funds can be used toward tuition, books, fees, and/or any nursing expense. Recipients must be women enrolled in ANC's RN program with preference going to full-time students from Mississippi County. Recipients must maintain a 2.5 cumulative G.P.A. Mr. and Mrs. Miller had strong interests in horticulture and the arts, devoting much of their lives to both disciplines. Their endowed gift is used for scholarships with emphasis on the horticulture and music programs. Tom and Jane believed in the opportunities offered by the College. The College is appreciative to be the recipient of a gift which fulfills the Millers’ wishes of richer lives for students and the community. This travel stipend is made possible through the generosity of the late George Moore and Nancy McCauley Trimue who bequeathed their farm to ANC for the expressed purpose of providing needed assistance to students living in Mississippi County. Proceeds from the Trimue farm rental will be used to fund approximately $100,000 annually in travel/gas vouchers for students from Mississippi County enrolling in the following certificate programs: Air Conditioning and Refrigeration, Automotive Service Technology, Child Development Associate, Clerical Support, Dental Assisting, Emergency Medical Technician, Aviation Maintenance, General Industry, Patient Care Technology, and Welding. With a limited number of vouchers available, funding is offered on a first-come, first-served basis and students must meet with their advisors weekly and maintain satisfactory academic progress in their classes to maintain eligibility. The late Wayne Taylor, who served on the ANC Foundation Board of Governors, was instrumental in the creation of the Annual Big Lake Scholarship Golf Tournament. He served on the tournament planning committee from the beginning and worked at all of the tournaments as well as personally contributing by sponsoring a tee-box each year. Mr. Taylor passed away in August of 2004, and the ANC Foundation changed the name of this scholarship to honor his memory and to recognize his dedication and contributions to Arkansas Northeastern College. This scholarship is funded through proceeds raised from an annual golf tournament held at the Manila Big Lake Country Club. Students eligible for this scholarship must be from the Buffalo Island area or the Bootheel of Missouri and may be full- time or part-time students and must maintain a minimum 2.5 G.P.A. each semester. This scholarship is awarded by the College’s Scholarship Committee with the number of recipients dependent upon available funds. This scholarship is funded through an annual gift from Yamato-Kogyo Ltd. and proceeds raised from an annual golf tournament. Funds raised annually total approximately $15,000 and are awarded by the College’s Scholarship Committee. Approximately 20-40 students receive assistance from this fund each semester. Other individuals provide funding on an annual basis for scholarships which are not endowed. Act 188 provides tuition and mandatory fees for any student whose parent was an Arkansas resident and was either killed in active duty, missing in action, or was a P.O.W. Provides students who are State Police Officers, Wildlife Officers, State Capitol Police, and their dependents with reduced college tuition at a rate equal to employees of the institution. The officers/police must have been employed by their respective employers for at least 10 years. Any person aged 60 or older who is admitted and enrolled is entitled to free tuition and mandatory fees while attending the College. Any person qualified for this scholarship should notify the Financial Aid Office. This scholarship does not cover specific fees associated with a particular course or tuition for courses taken as audit. For students without a recognized high school diploma or GED. Student must attend 4 hours per week of adult education instruction toward GED to be eligible for the scholarship. Find out more! Fee waivers may be granted to the employee's immediate family for registration in all college credit classes. Immediate family is defined as spouse and dependent children. Dependency is defined as "meeting the definition of dependency according to IRS regulations." A maximum of 62 semester hours will be waived. The waiver is administered by the Financial Aid Office. The Board of Trustees Academic Scholarship is awarded to students in recognition of outstanding high school performance. Students must be graduates of a public high school in Arkansas or a graduate of a public high school in Pemiscot, Dunklin, or New Madrid counties in Missouri and rank in the top 10% of their high school graduating class or have a composite score of 24 or above on the ACT. The scholarship pays current in-county tuition and mandatory fees for a total of 64 semester hours or completion of the required credits in any program having a total hour requirement greater than 64. The scholarship will be continued for a maximum period of three (3) years, providing the recipient makes satisfactory academic progress toward a degree, remains continuously enrolled and maintains a cumulative GPA of 3.0. If the student transfers to another institution prior to completing degree work at ANC, the scholarship will not be offered during future enrollment periods. The scholarship must be initiated during the immediate summer, fall, or spring term following high school graduation. Board of Trustees Academic Scholarships are extended to GED high school equivalency certificate/diploma adults who have high scores and are recommended by the staff of Adult Education. The Board of Trustees Technical Scholarship is given to students in recognition of performance in a technical or vocational field while in high school. The scholarship pays in-county tuition and mandatory fees for a total of 35 credit hours or completion of the required credits in a certificate program. Eligible students must be graduates of an accredited public high school in Arkansas or in Dunklin, Pemiscot, or New Madrid counties in Missouri. Students must be recommended for the scholarship by a high school counselor, a high school vocational/occupational instructor, or the ANC Secondary Center Director. Eligibility will be for one academic year or continued for the period of time required to complete the chosen certificate program, providing the recipient remains continuously enrolled, makes satisfactory progress toward the certificate, and maintains a minimum 2.5 GPA each term. The scholarship must be activated during the immediate summer or fall semester following graduation from a public high school. The award of the Technical Scholarship does not mean automatic admission into special programs. Scholarship students interested in one of th College's special admissions programs should contact an advisor in the occupational field. ANC is authorized to waive in-county cost of tuition and mandatory fees for certified full-time teaching personnel of the Mississippi County Public School Districts, the Buffalo Island Central School District and the public school districts in Pemiscot, Dunklin, and New Madrid counties in Missouri. The waiver of fees is not to exceed a total of four credit hours for each regular semester and may not be used for physical education activity courses. Waivers may be used for credit classes only. Summer applicants must have a signed contract for the subsequent academic year to be an eligible recipient. The Financial Aid Office administers the waiver through the superintendents of the designated school districts. The College is authorized to scholarship the tuition for certain full-time Mississippi County law enforcement employees enrolling in the College's Criminal Justice degree program. Such a scholarship is available to full-time personnel of Mississippi County, any of the County's municipalities, Arkansas Department of Community Correction employees, or Troop C of the Arkansas State Police. The applicable scholarship is limited to the total credit hour requirement (as published by the College) necessary for the completion of the Associate of Applied Science degree in criminal justice. This scholarship is limited to a maximum enrollment of six credit hours during each major semester (fall and spring) annually and thre credit hours during each summer term. The scholarship is for tutition at the applicable in-county rate only and does not include fees. The scholarship shall be continued providing the student makes satisfactory progress toward a degree and maintains a satisfactory level of academic achievement. The College will award Fine Arts scholarships for gifted students to simulate Fine Arts Activities. The recipients of these awards will be selected by the Dean of Arts and Sciences upon recommendation of faculty in the respective areas. The major area of study is open to any student enrolled in any type of Fine Arts course with the course prefix of MU, AR, or TH. Interested students should contact the Dean for Arts and Sciences for more information.